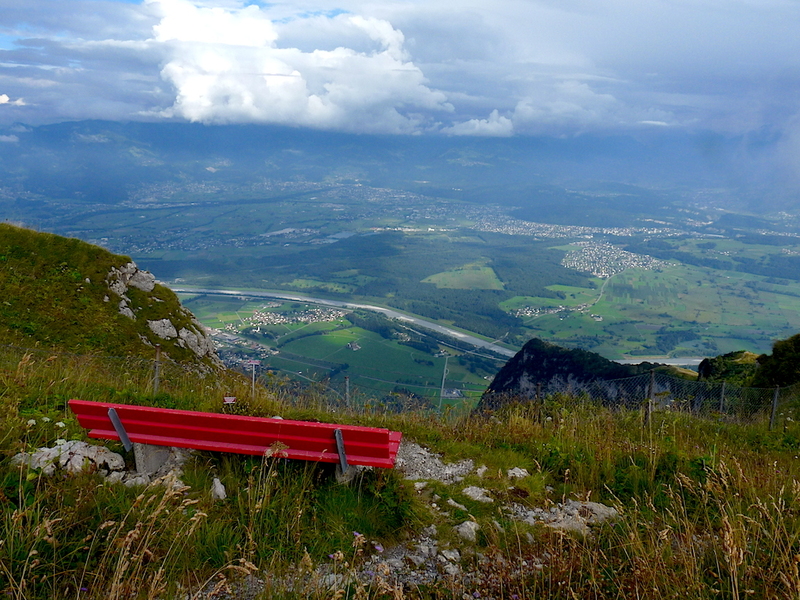 In temperate Switzerland, a summer’s day is one to celebrate. 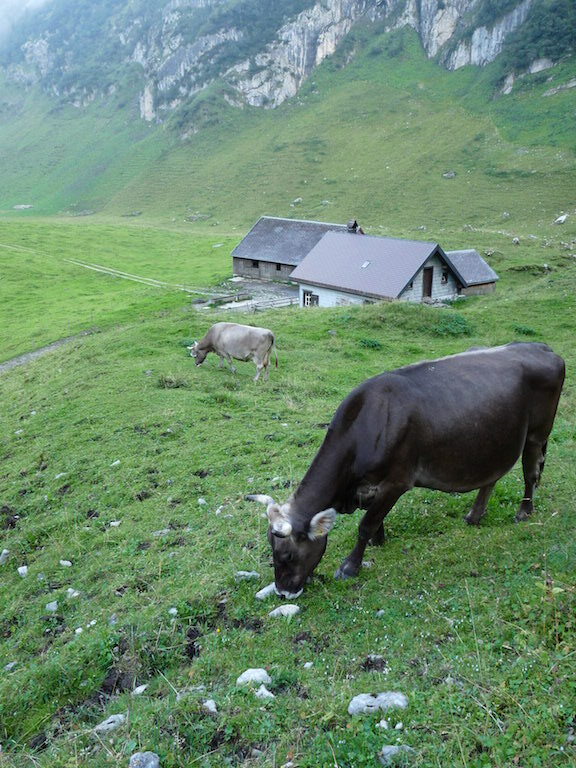 In the northeastern canton of Appenzell Innerrhoden, alpine herdsmen end the long hours of sunshine, grazing and cheese-making with a call to prayer. 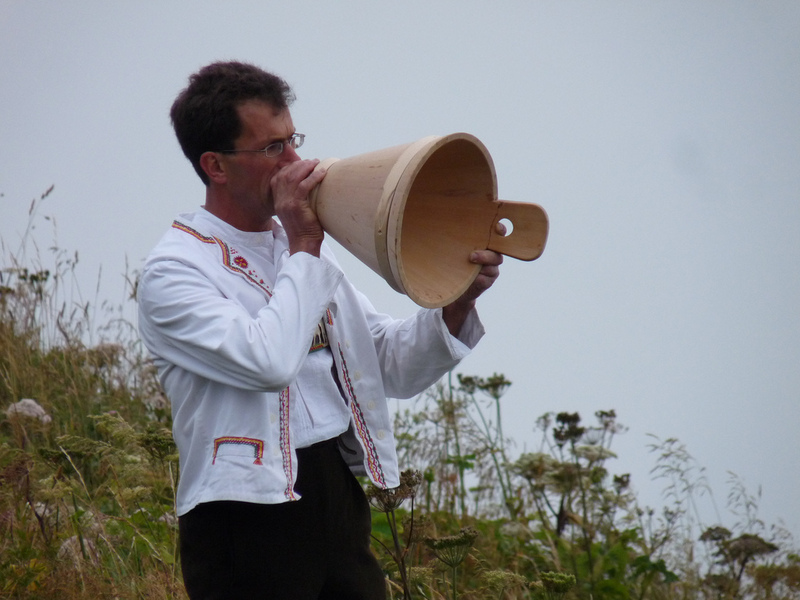 It goes by the name of Betruf, and the herdsman uses an open milk funnel of wood or metal called a Folle to amplify the call. 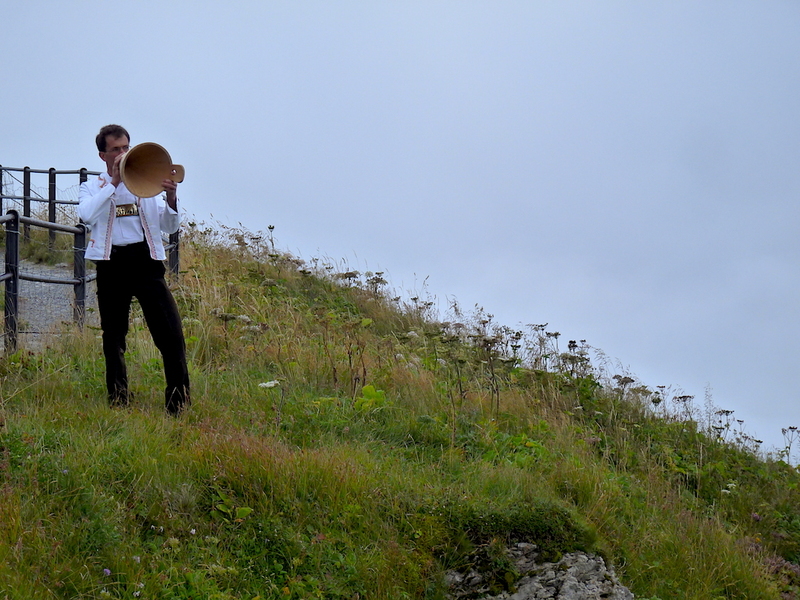 It rings out over the hills and dales, and is often answered and echoed by other prayer calls on other hilltops. The canton is predominantly Roman Catholic, the Protestants having been banished to the adjoining canton of Appenzell Ausserrhoden during the Reformation in the 16th century. 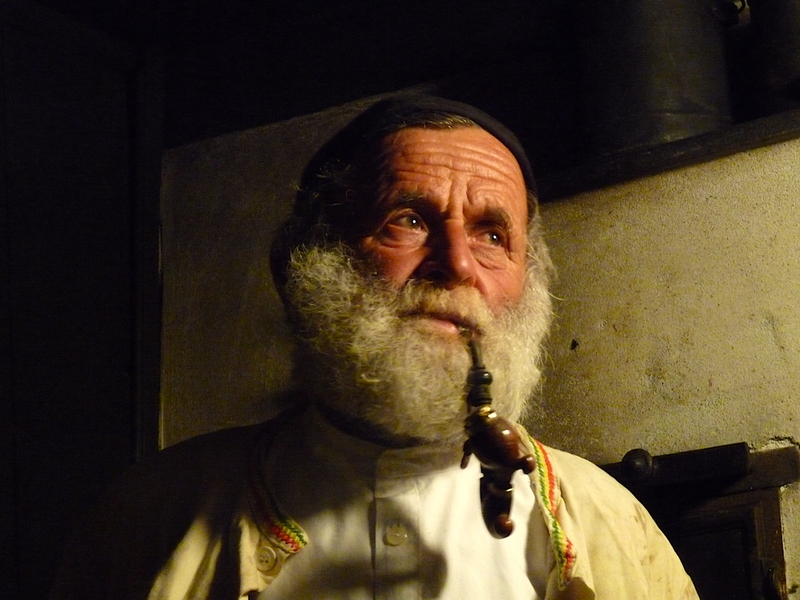 The Betruf usually takes place after the cows and goats have fallen silent in the quiet of gloaming and the atmosphere is one of quiet contemplation and thanks. After a long day’s walk in the Alpstein made cold and bitter by unseasonal rain, we arrived at Fahlensee to clearing skies and visited the home of dairyman Albert Räss, glowing invitingly like welcome embers in a warm fire. 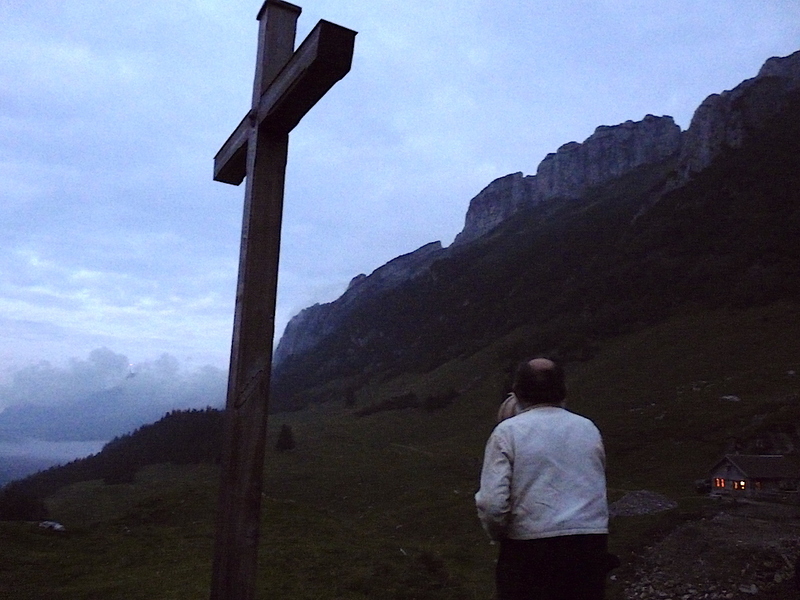 Accompanied by his lovable Appenzell sheepdog, Räss walked to the foot of a large wooden cross and sang the Betruf as dusk descended on the Alpstein.